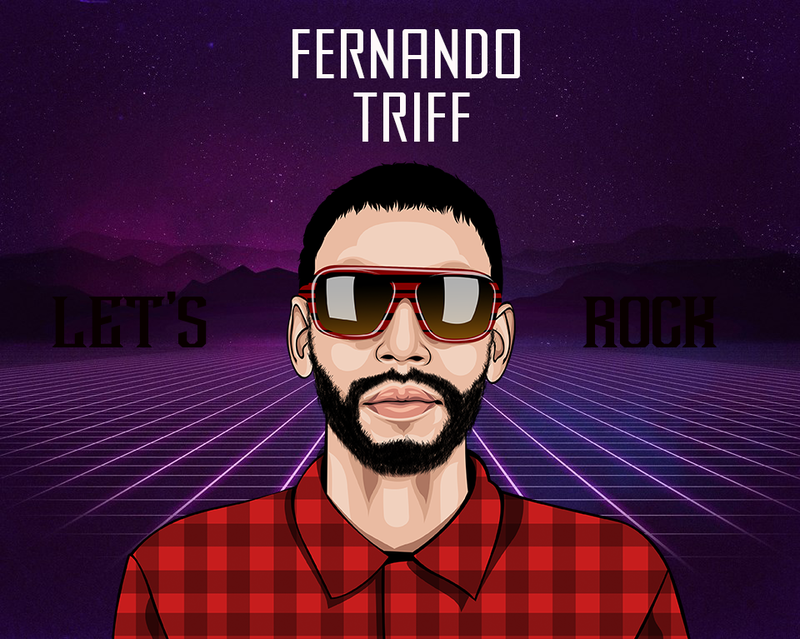 From Grunge To Hispter Can Fernando Triff Save The Rock? Back in the early 90’s and through the early years of the millennium, alternative rock started it’s reign over the music charts all over the world. The theme song for the Mission Impossible franchise had been reworked to employ heart racing guitars and blood pumping drums, and it wasn’t the only entity getting in on the action. Many bands from that era reached stratospheric fame. Today it is a different crowd, Dance beats, and electronic music dominates the radio waves and artists from other genres have also incorporated EDM into their music to account for the growing masses that enjoy listening and dancing. Fernando Triff however, has not forgotten the days that came before and as an artist in his own right has re-energized the genre. A native of São Paulo, Brazil, Fernando Triff possesses the same drive, passion, and charisma that a successful artist requires, and his music offers a throwback to the alternative rock days with a unique approach to his blend. All his songs have been written on his own effort and life experiences since the age of 16, working with majors producers now he looks pro. His musical inspiration can be clearly felt in the bands that were at their peaks a decade or more so ago bands such as Nirvana, Linkin Park, Gorillaz, Paramore or Sum 41, just to name a few that were playing on every radio station. His debut single “Blessing like Swagger” is an upbeat, fun and catchy song that balances the appeal of pop and the energy of rock within a great and punchy anthem! The song was released on 7/29/14 and debuted at number #61 on the international iTunes chart. The song is thoroughly engaging, due not only because of solid songwriting and a passionate performance by Triff but also in due part to a spectacular arrangement. The song offers a harmonious blend of alternative rock and anthemic, power pop with some crunchy riffs and a curtain drawing guitar solo. Fernando Triff released another chart tearing awarded track in Indigo Riot! With the titular lead single making waves and establishing itself as a hit. His most recent release was a single titled Risk tak3r. Next Taylor Swift, ’1989′: Everything We Know So Far!